A one day camp was organised in Garahani Block in Bihar village by Amrita SeRVe staff Mr. Nandkishore. The Block Development Officer and Panchayat president introduced various government schemes to the Self-Help Group Members. 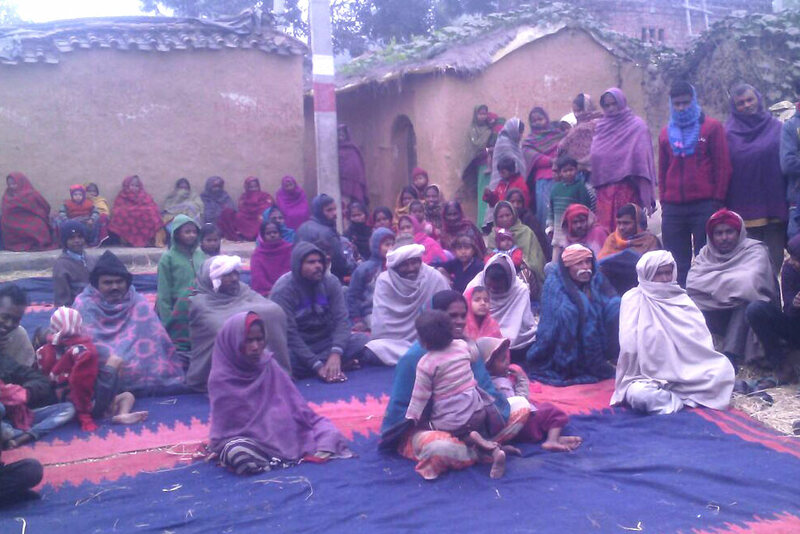 The old age pension scheme by the government was introduced to the villagers. The Block Development Officer explained how to avail the benefits of the scheme. Also, as a part of the income generation programme of Amrita SeRVe, a subsidised loan for various livestock like, goat, buffalo, pig and poultry was also introduced. This loan will help the SHG members to find a new way of making a living. Handicap certificates were distributed to 4 differently abled persons. Various government benefits can be availed through this certificate. Musahar community, which is one of the most backward community in India and which prefers to live in isolation form the society, was introduced to the Aadhar card, which is a Government identification. Almost half of the village got registered for Aadhar during this one day camp. At the end of the day the Block Development Officer said that it was all possible due to the effort of Amrita SeRVe coordinators. Their efforts brought the villagers together and has awarded them many benefits.